SalamAir, Oman's first budget airline, has introduced the first direct flights between Muscat and Ta'if, Saudi Arabia, said a report. The new seasonal flights will commence on May 15 to facilitate Umrah during the holy month of Ramadan, with return ticket fares starting from OMR99 ($256.7), said a report in Times of Oman. Flying thrice weekly, the carrier will depart from Muscat at 11:00 pm on Tuesdays, Thursdays and Saturdays, arriving in Ta'if at 1:20 am. Return flights from Ta'if are scheduled for Wednesdays, Fridays and Sundays, departing at 2:10 am and arriving in Muscat at 6:35 am, the report said. 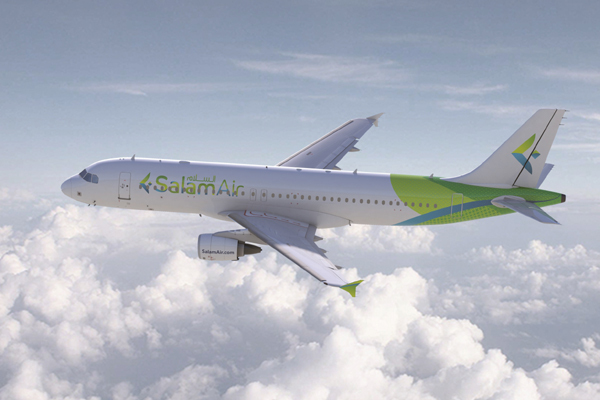 Saudi Arabia has been a key market for SalamAir, which has connected both Muscat and Salalah to Jeddah and successfully operated several seasonal services to other cities within the kingdom.